SeaWorld San Diego is one of the city’s most beloved family-friendly attractions, from its animal exhibits to daily shows. SeaWorld San Diego is one of the city’s most popular kid-friendly attractions (besides the San Diego Zoo and the San Diego Zoo Safari Park). 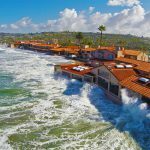 It’s a great place to spend the day while you’re visiting San Diego, and boasts a ton of activities, rides, shows, and other things to do with the entire family. Founded in 1964 by four UCLA graduates, SeaWorld San Diego began with the simple idea of creating an underwater restaurant. Now over 40 years later, it hosts approximately 4 million visitors each year and continues to push on with its mission to further wildlife species conservation. There are exhibits featuring fan-favorites like killer whales, bottlenose dolphins, beluga whales, penguins, sea turtles, sharks, stingrays and more. Here is everything you need to know about what to do at SeaWorld San Diego! You can buy your SeaWorld San Diego tickets online or once you arrive at the park. Park tickets start at $59 per person. 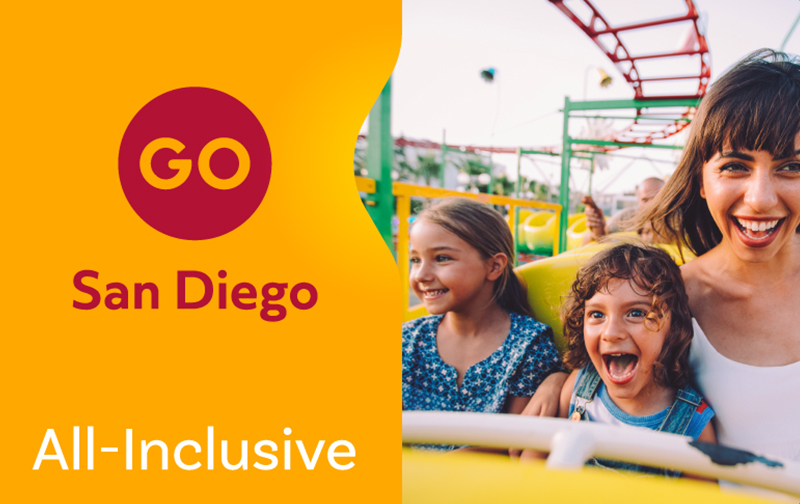 The Go San Diego Card is a great way to see SeaWorld San Diego for a discounted price! Look for special deals and coupons on the website before you go – they’ll often have family specials and other discounts. SeaWorld is located at 500 SeaWorld Drive, San Diego 92109. The park can easily be accessed from the I-5 freeway (exit off of Sea World Drive). Public Transportation: The Metropolitan Transit System (MTS) offers daily bus service to SeaWorld from the Old Town Transit Center, via routes 8 and 9. The distance is approximately four miles and takes about fifteen minutes. Old Town Transit Center offers connections to Amtrak, Coaster and other bus services. Parking for a single car is $20 in General Parking, starts at $25 for Up-Close Parking and starts at $35 for VIP Parking. Parking for RVs and campers is $40 and parking for motorcycles is $20 – these options can only be purchased at the park. Credit card is the preferred method of payment accepted at the parking toll booths. General Parking is free for Annual Pass Members, but you may upgrade to Up-Close Parking for a small fee at the park when available. Photo ID and valid Annual Pass will be required at the Parking Lot Booths in order to receive the complimentary parking benefit. This park is the ultimate way to combine a love of animals and thrills. There are plenty of rides that are tame enough for really young kids, as well. Tentacle Twirl – this is a great one for those who aren’t fans of rollercoasters; it’s a set of jellyfish-themed big swings! The iconic SkyTower is a great way to see the park from a bird’s eye view; and the Bayside Skyride is a relaxing aerial ride that takes you across the bay for more great views. One of the best parts about SeaWorld is their live shows, featuring everything from Orcas and dolphins to sea otters and sea lions. These are specialty adventures that must be reserved ahead of time; the easiest way to book one is to call SeaWorld directly. What would SeaWorld San Diego be without its animals?! Let’s break down the different animal exhibits and areas. Aquaria: World of Fishes & Touch Pools. Watch and observe piranha feedings and other fish at this up-close-and personal aquarium. Explorer’s Reef. This is a great little area for children, and is relatively new to the park. Kids will get the opportunity to touch cleaner fish, horseshoe crabs, stingrays, bamboo sharks, epaulette sharks, and a conch shell. Bat Rays Touch Pool at Manta. Feed and touch bat rays as you watch them swim around in a shallow pool; another great activity for the little ones. Sea Lion Point. Feed seals and sea lions as you watch them play, swim, and bark! What’s great about this encounter is that the seals and sea lions are almost always active, unlike other animals at the park; they’re playful and fun to watch. -Dolphin Point. Watch a live training session and meet the whole dolphin family during this encounter. This is much more personalized than the Dolphin Days show, and you’ll actually get to see the animals up close. -Orca Underwater Viewing. See orcas up-close at an underwater viewing area; glass is the only thing that stands between you and these beautiful animals. This is a great add-on experience to do after the live show. -Wild Arctic. This is the exhibit part of the Wild Arctic flight simulator ride. Head inside to see Beluga whales, harbor seals, and walruses do their thing in the icy Arctic air! -Shark Encounter. This is a longtime favorite at SeaWorld San Diego. Walk through an underwater tube, surrounded by clear glass on all sides and view all types of different sharks. -Penguin Encounter. View six different species of penguins, including the only Emperor Penguins in North America! -Turtle Reef. Watch green, loggerhead, and hawksbill turtles do their thing. -Freshwater & Ray Aquariums. Observe frogs, eel, freshwater fish, spotted eagle stingrays, and cownose rays. -Ocean Explorer. A newcomer to the park, this is a fun interactive experience for the kids. Observe Pacific Octopus, California moray eels, and Japanese spider crabs. Go midweek if you can – going on a Tuesday, Wednesday, or Thursday will get you $30 off the regular ticket price. An added bonus: it’s almost always less crowded during the week. The polar bear exhibit is closed until further notice. The polar bear is in another zoo for rehabilitation until the end of the year. This is a great time to see the otters: the normal exhibit is closed for renovations, so for now, the otters are in a separate, smaller area where you can go right up to their swimming enclosure and see them up close and personal. There are three otters there now, and they are super playful and incredibly fun to watch. We recommend going before the other exhibit is open. There are clothes dryers on-site. Just in case you get a little too soaked on Atlantis, there are dryers at the exit of the Atlantis ride that you can use for $6 each. Might be a good idea if you have a long day ahead! Bypass the wait at Wild Arctic and head straight to the exhibit. Usually, the line for the flight simulator ride is upwards of 40 minutes. Skip the line and go straight to the exhibit, where you’ll see all kinds of animals up close. It keeps the kids happy and you’ll still get to see cool stuff! “Quick queue” is available for all children’s rides and some of the adult rides and rollercoasters. Purchasing a pass will let you skip the line and head straight to the front. If you’re looking for craft beer, head to the Explorer’s Cafe. Skip the kiosk lines and head to a lesser known area called Explorer’s Cafe (near the Ocean Explorer). It’s a craft beer hall with tons of different options; a perfect option for craft beer aficionados. If it’s a hot day, check out the indoor exhibits and the Arctic exhibit. They’re always several degrees cooler, and staying inside will give you a chance to cool down before you head off to the next adventure. You can bring a water bottle inside the park. This is a good idea if you’ll be there all day, as you can simply fill it up at one of the restaurants or dining kiosks. Hard and soft coolers, glass containers, food such as sandwiches, meals, snacks etc., and flavored drinks may not be taken into the park. You can rent a single or double stroller online ahead of time. Strollers are located inside the park at the rental shop near Guest Services. All strollers need to be parked outside of exhibits and attractions before you go in. 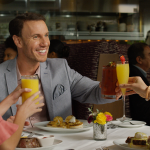 For $36/adult or $19/child, you can purchase an all-day dining deal that includes one entrée, one side or dessert, and one non-alcohol beverage as often as once every hour during one day’s visit (participating restaurants only). Baja Grill for fresh-grilled tacos, salads, and burritos. There are plenty of restaurants and dining spots within the park, so take the time to explore your options! SeaWorld has a few hidden tricks up its sleeve! When you’re walking around the park, keep an eye out for tucked-away exhibits and areas. 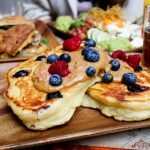 -Over by Explorer’s Cafe, there are three exotic bird cages in the outdoor seating area. This is a great, relaxing place to stop and eat lunch – it’s much quieter than the rest of the park dining areas, and you’ll be serenaded by beautiful birds! -There are also on-site pet kennels near the entrance; although we don’t recommend bringing Fido along to your day at the park, the kennels are a good option if you need one. -All active duty military members and their families get in for free – any day of the week, at any time of year. Just bring your identification with you and you’re good to go! -There is a secret kid-only viewing experience tucked away inside the Ocean Explorers area. 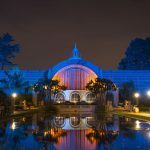 Look for the small glass domes: they are actually little viewing areas, and kids can pop their heads up inside for a super up-close view of California moray eels, octopus, and more. Sesame Street Party Parade is a brand new event that happens on weekends, at 4:30pm, starting May 5th through September 2nd. It features 10 larger-than-life themed floats, including Sesame Street favorites. Cirque Electrique happens each summer, which is essentially SeaWorld’s version of the circus! Fireworks happen both on Memorial Day (May 26-28) and the Fourth of July. The Seven Seas Food Festival happens each March and April on the weekends, and daily from March 26-30. Visitors will get to sip and sample various international street food traditions, craft beer and wines, and enjoy live musical performances. SeaWorld’s Halloween Spooktacular happens on weekends from September 22nd – October 28th, and includes tons of fun things around the park like spooky live shows, trick-or-treating, and Halloween themed activities. SeaWorld’s Christmas Celebration is jam packed with shopping, festive food and drinks, and stunning live shows. Celebrate the reason for the season during a mesmerizing nativity show, visit Santa’s Christmas Village, and more.